The traditional bookcrossing convention raffle will take place as usual. We follow the American method as seen at the Oxford and Athens Conventions. Please write your name on every ticket you purchase, plus the free ones you got by registration, break the strips of tickets up unto single tickets and post them into the box besides the prize(s) that you would most like to win. The raffle is drawn on Saturday afternoon at about 16:30. The Raffle will close at 16:00 to prepare. We thank you in advance for donating and for letting us know as to prepare in time. Please remember to have some change with you to be able to buy some raffle tickets. 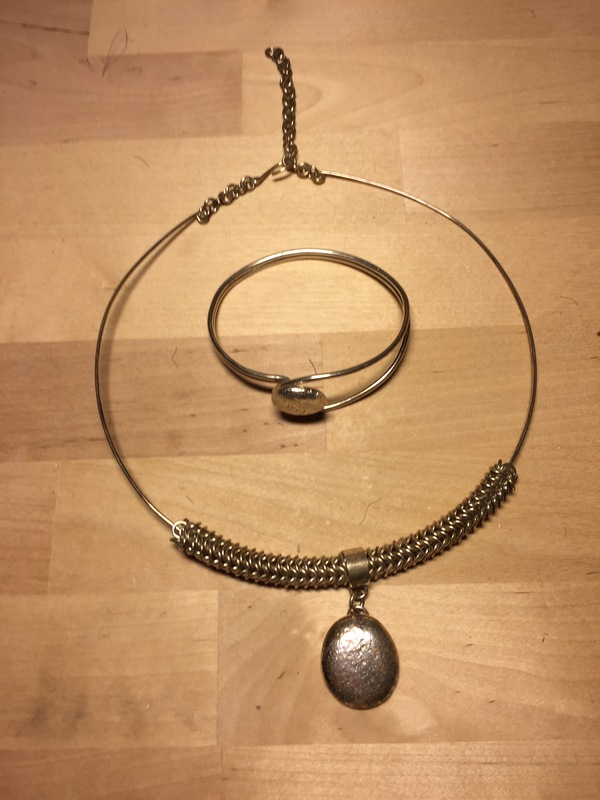 Silver Jewelry Prize donated by sota48, made by her daugther in law – the set will also include a pair of earrings. Birdhouse/nestbox in shape of a little bookshelf (approx. 35x25x22cm), donated by Rochester74.